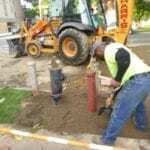 Sewer line replacements and sewer line repairs require precision, advanced equipment, and a great deal of experience. 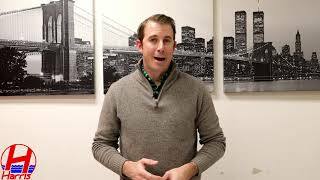 New York City sewer installations and repairs are a specialty trade that does not fall within the normal scope of work for the average “plumber”. 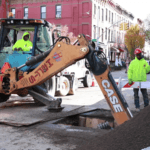 In order to obtain the required permits for a sub surface sewer replacement, the contractor must hold a NYC Master Plumbers license, sufficient insurance coverage and a specialty bond with the New York City DOT. 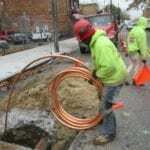 A broken sewer line can be messy, disruptive, and even hazardous to the health of your family, customers, or employees. 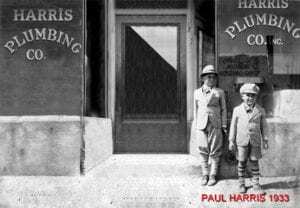 Protect your family or business today and enlist the sewer line replacement services of Harris Water Main & Sewer Contractors. 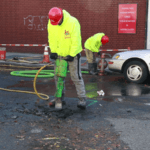 With over 100 years of experience servicing NYC and its five boroughs, you can rely on our specialists to repair or replace your sewer line in a quick, cost effective and efficient manner. 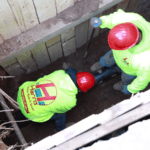 There are many reasons why you may experience problems with your sewer line. It is important to understand why your pipe is not functioning properly to avoid wasting money on temporary repairs to your sewer line. There are two primary factors to consider before concluding on a permanent resolution. 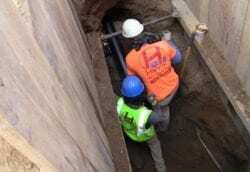 The first factor is to understand the exact cause of the sewer problem. The most common problems are when the pipe is separated, cracked, filled with tree roots, back-pitched or is an old clay pipe. The second factor is locating where the problem is. 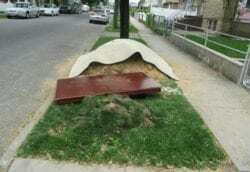 It is not suggested however, in some scenarios a partial repair can be completed on the sewer line. 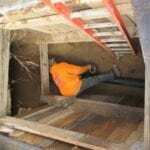 In the case of a repair, it is very important to have obtained the exact location of the sewer problem. 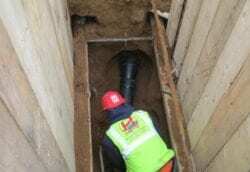 If you currently have a clay sewer pipe, it is not suggested to repair a section of the sewer line. There are several other important factors to consider when weighing the the different options for each scenario, at this time it is suggested to contact a sub surface sewer contractor for a professional opinion. This is a common thought that many homeowners experience once they have identified that their sewer line is damaged. 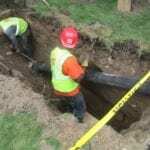 If your property has a clay sewer line we always advise to replace the entire sewer line with extra heavy cast iron pipe. 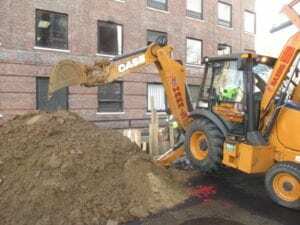 A clay sewer line is more susceptible to experiencing a secondary issue as opposed to a cast iron sewer line, where a repair may make more sense. 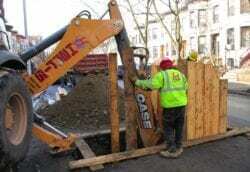 If you decide to make a repair on a section of your clay pipe, there is a possibility that you will have to repair another section of the old clay pipe in the near future. Having a sewer contractor perform multiple repairs on your clay pipe at different points in time can become quite expensive. If you currently have cast iron sewer pipe, it may make more sense to entertain the idea of a repair as most cast iron pipes should last you 50+ years if installed by an experienced contractor, with the proper materials. Either way, you should always have a detailed inspection performed on your sewer line to allow for a proper assessment and the most cost effective way to relieve your issues.